Featuring a classy and timeless look, this Elegant Dragon Scales Inlay Ring is a magnificent accessory to finish your look for big parties and events. With its unique dragon scales design at the center, this accessory is not just a typical ring that you find elsewhere. This new addition on Ring to Perfection is an exclusive design making it a special gift that you can give to the most important people in your life. Available in gold and blue, this Elegant Stainless Steel Dragon Scales Inlay Ring is also a perfect engagement or wedding ring. 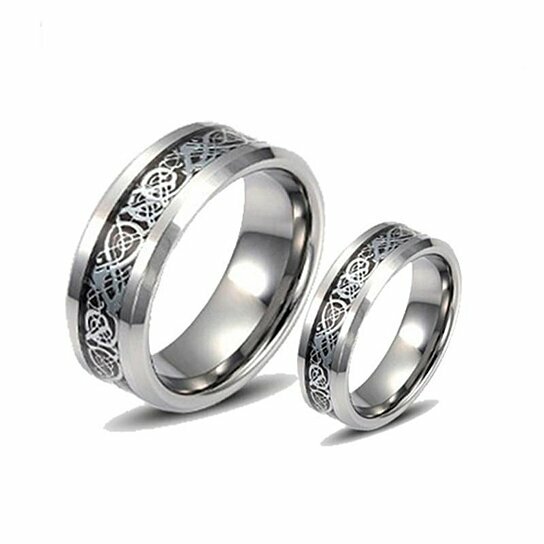 The dragon scales design gives the ring a sophisticated and romantic appeal. Hurry! Get two of this limited edition ring to enjoy FREE WORLDWIDE SHIPPING!